South Florida is a prime place to take a stroll and soak in the sights – and the sun. Whether you are window-shopping, exploring, exercising, running errands, or commuting to work, walking delivers a host of benefits. Unfortunately, it can also be dangerous. The Sunshine State is one of the deadliest for pedestrians. What do you do if you are hit by a car? According to the Governors Highway Safety Association, Florida ranks number two in the nation (2017 figures) for total pedestrian deaths. Adjusted for population, it is the fifth worst. In fact, from January to June 2017, 303 pedestrians were hit and killed by cars (compared to 299 the previous year). Only California had more fatalities at 352. But keep in mind, the population of the Golden State is nearly twice that of Florida. Five states – Florida, Texas, California, Arizona, and New York – accounted for 43 percent of all walking deaths in the first half of 2017. In terms of counties, 83 people were killed in Dade, the fifth worst in the country. Broward came in at number nine. Note: bicyclists also face a high level of risk. Florida is number one in bicycling deaths, and Miami was the fourth-deadliest city in the United states – with Jacksonville, Tampa, and Orlando leading the pack. Time of day. Most accidents occur at night. Age. At highest risk of being hit by a car are those age 65 and older (19 percent of all pedestrian deaths) and children under the age of 15 (20 percent of children under age 15 killed in traffic accidents were pedestrians). Driving or walking under the influence. 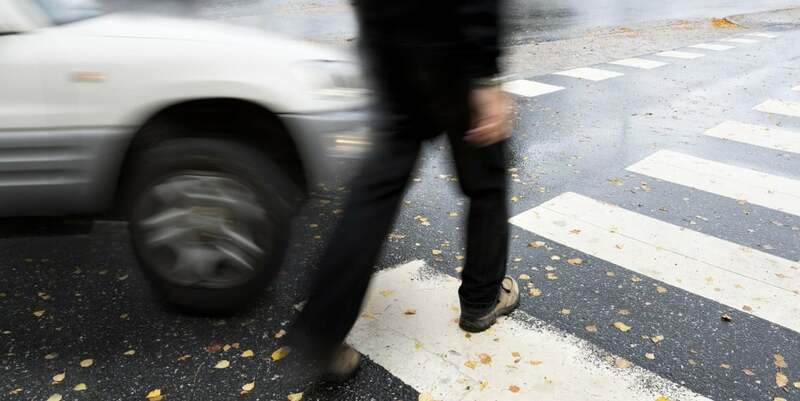 Nearly half of pedestrian fatalities involve alcohol. In one-third, the pedestrian had a blood alcohol concentration of 0.08 or more, and in 15 percent, the driver had a BAC of 0.08 or more. Location. Most deaths occur in non-intersection areas and in urban areas. Non-fatal injuries to pedestrians can be severe and range from broken bones to concussion to traumatic brain injuries. The consequences – and expenses – can be lifelong and life-altering. For those suffering after being hit by a car, a big question is: can I sue? Recouping medical expenses and costs related to treatment, medications, lost work, and pain and suffering may be the only way that some can make ends meet. You need the police, and you need to be assessed by emergency personnel. After an accident, your heart is pumping, and your body is being flooded with adrenaline. You may have sustained injuries that are not yet apparent. It is best to seek medical attention as soon as possible. If you can remain on scene, try to make notes regarding the events that led up to the accident. What were the road conditions? Weather conditions? What was the driver doing? Were there any witnesses? Take pictures or video with your phone, if possible. Your insurance company or attorney will likely want a police report documenting these facts: when speaking to the police, lay out each step before you were struck. After you speak with police, go to the emergency room for a full evaluation. Do you have visible injuries? Is there any blood on your face, head, and/or extremities? Note all injuries and be sure to let medical professionals know about any complaints. When speaking to law enforcement and insurance company representatives, do not admit fault. A blurted, “Are you all right? I’m sorry,” can have long lasting impacts on any potential future legal action. In other words, this “admission” can be used against you. It is not advisable to speak to the other party’s insurance company: their goal is to mitigate their exposure. They want to pay as little as possible – and preferably nothing. They may try to get you to admit fault or sign a quick settlement agreement. While this can be tempting, be aware that these offers typically do not extend far enough to cover medical expenses and lost wages, particularly if your condition is severe or worsens over time. When dealing with the other insurance company, only provide your contact information and that of your insurance company and attorney. Request the name, address, phone, and claim number from them. That’s it. Even if you are a pedestrian, your car insurance policy may cover the accident. Regardless, this is an important step that will help you make medical or disability claims after being hit by a car. 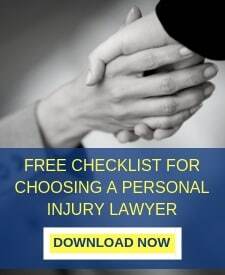 If you want to preserve the option of taking legal action, the best step you can take – after seeking medical attention and speaking with law enforcement – is to consult an experienced pedestrian accident attorney. Why? Your injuries can cause severe physical, emotional, psychological, and financial ramifications in both the short and long term. Again, the other party’s insurance company will seek to minimize losses, thus minimizing your monetary compensation. They may also try to blame you for the accident and deny your claim. Protecting your legal rights is essential. It is recommended that you consult an attorney before wrangling with insurance companies: they can handle this stressful task on your behalf. The local injury attorneys at the LaBovick Law Group have decades of experience in personal injury and accident law. We act as tenacious and tireless advocates: your wellbeing, safety, health, and financial stability is our top priority. If you have been hit by a car and injured as a pedestrian, contact our team today. 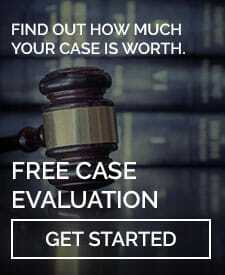 We can not only answer the question of “can I sue?” but also get you the compensation you deserve.